Tuesday, November 4 is Election Day! Your NRA Political Victory Fund has rated and made endorsements of pro-gun/pro-hunting candidates in the upcoming federal and state elections. 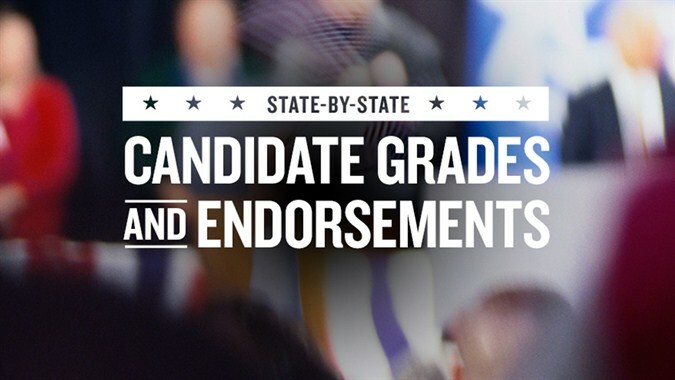 These candidate ratings can now be found at the NRA-PVF website. Before casting your vote in the general election on or before November 4 depending upon early voting in your state, please visit this site to learn who will best protect your Second Amendment rights and hunting heritage. Be sure to encourage your family, friends, fellow gun owners and sportsmen in your state to support and vote for pro-gun/pro-hunting candidates on or before Tuesday, November 4. Are you interested in doing more to ensure that NRA-PVF endorsed candidates are elected this election cycle? Get involved on the grassroots level by becoming an NRA volunteer in your area! The NRA needs dedicated, educated volunteers to assist with phone banks, literature drops, precinct walks, voter registration, Election Day activities and other volunteer campaign activities. Go to www.NRAILAFrontlines.com TODAY and sign-up to find out about all of the great volunteer opportunities and events in your area!